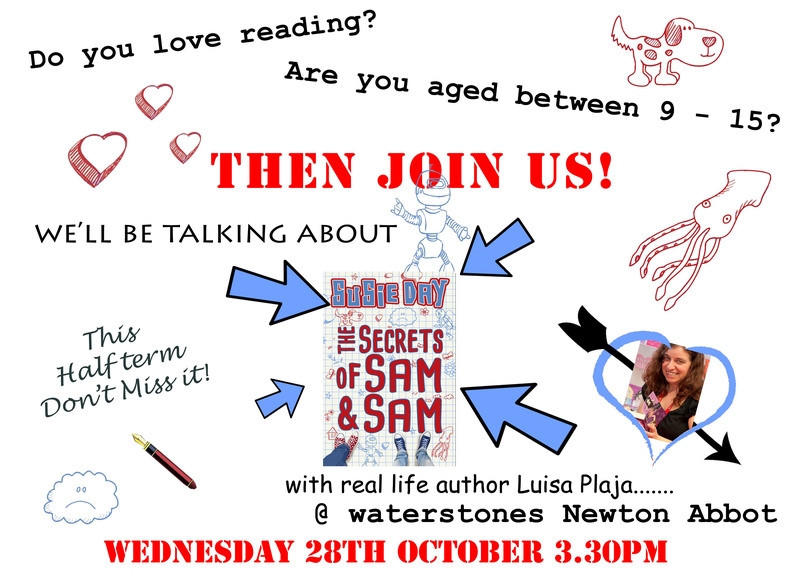 October’s book club meeting at Waterstone’s in Newton Abbot has a spooky feel… and we’ll be discussing The Secrets of Sam and Sam by Susie Day. 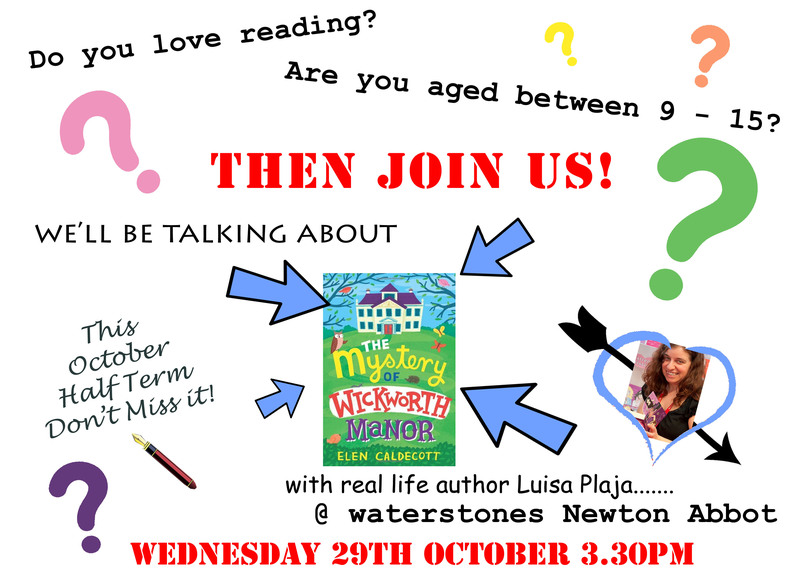 Hope to see you there on Wednesday 28th October from 3.30pm. 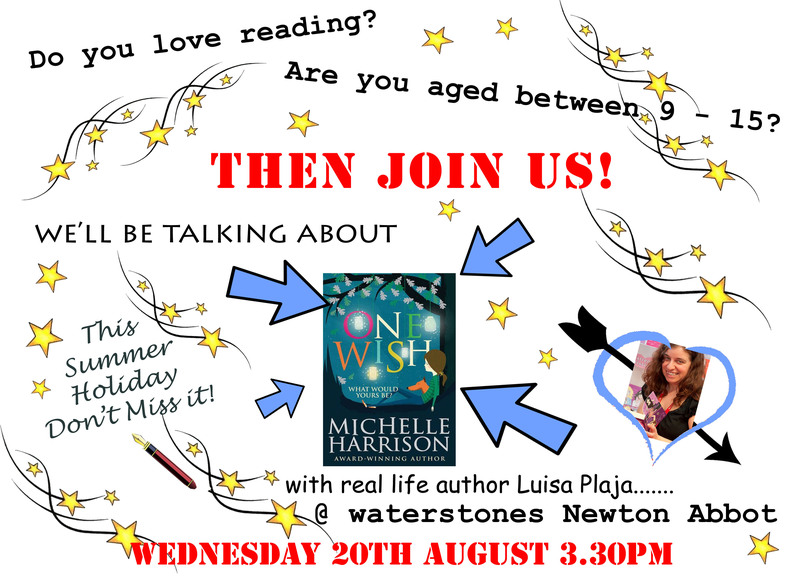 The Newton Abbot Waterstones Book Club is meeting in the first week of the summer holidays, on Wednesday 29th July at 3.30pm. 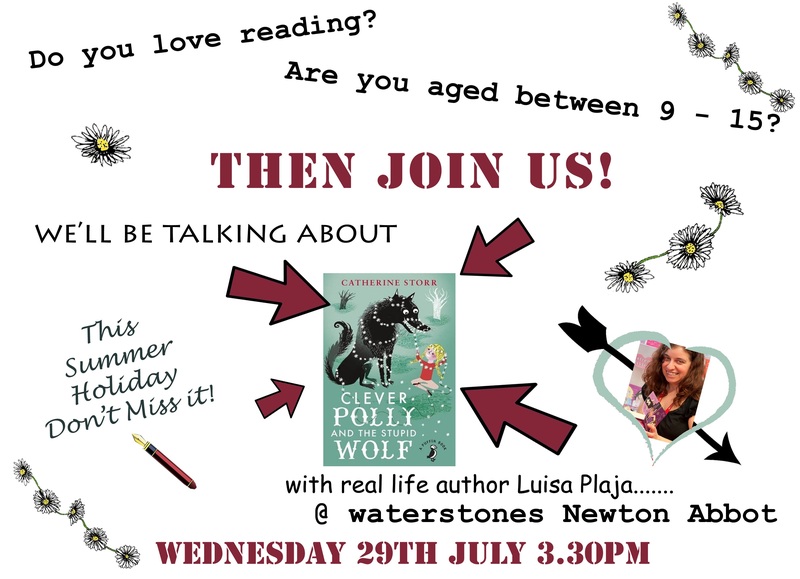 This month we’ll be talking about the re-issue of the children’s classic Clever Polly and the Stupid Wolf by Catherine Storr, and lots more! The next meeting of the book club at Waterstones Newton Abbot is all set up! 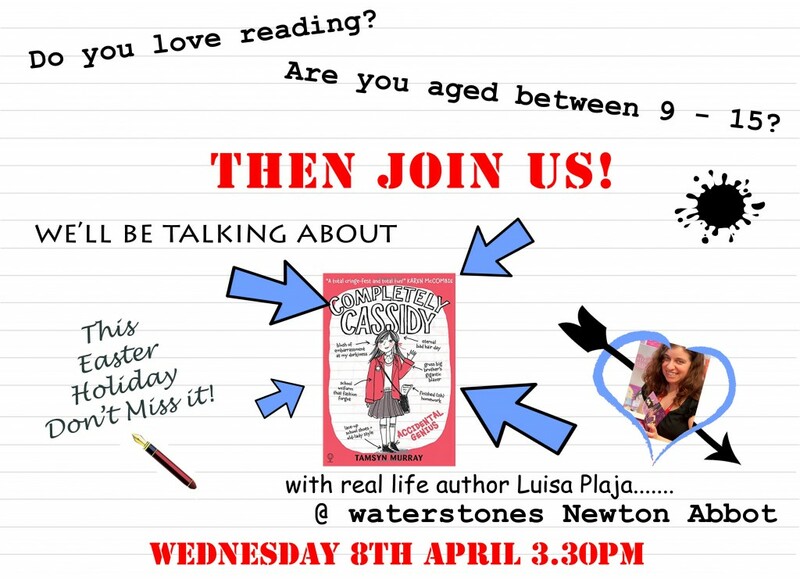 We’re meeting on Wednesday 8th April and we’re back to our usual time of 3.30pm. This month’s book is Completely Cassidy: Accidental Genius by Tamsyn Murray. Hope to see you there! Huge thanks to Book Angel Booktopia for inviting me to be author of the month at her school, and offering me a guest post slot in honour of Valentine’s Day. Read my Ingredients for a Teen Romance Novel at Book Angel Booktopia! Announcing the next book club at Waterstones in Newton Abbot, Devon. 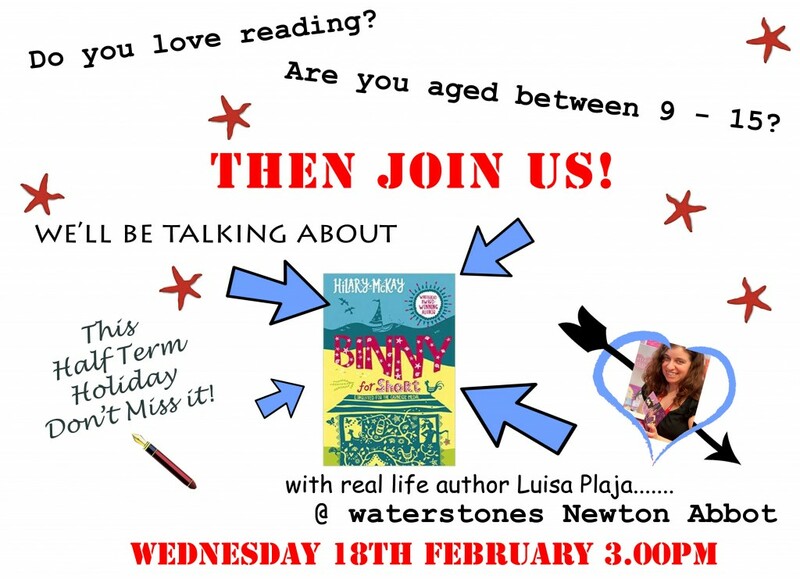 We’ll be meeting at the slightly earlier time of 3pm on Wednesday 18th February, and this month’s book is Binny for Short by Hilary McKay. Girls Heart Christmas - out now! 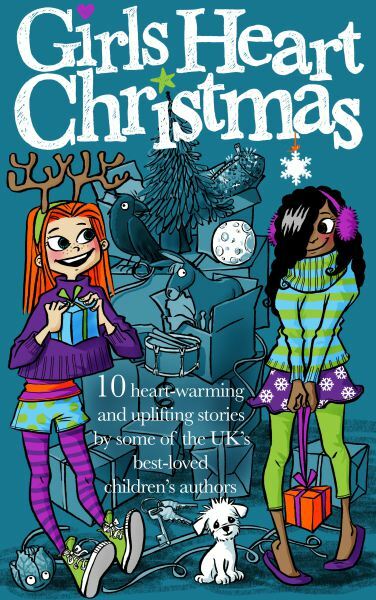 “Ten heart-warming and uplifting Christmas stories by some of the UK’s best-loved children’s authors. 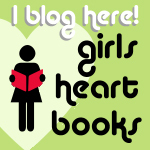 The book is published in support of the Girls Heart Books site and it’s aimed at ages 8 to 12. It’s on sale now! And I’ve written more about my inspiration for The Evil Sprout over at Girls Heart Books. It’s nearly time for October’s spooky-themed book club. We’re reading The Mystery of Wickworth Manor by Elen Caldecott, discussing ghost stories and much more. Join us on 29th October 2014 at 3.30pm, Waterstones Newton Abbot.